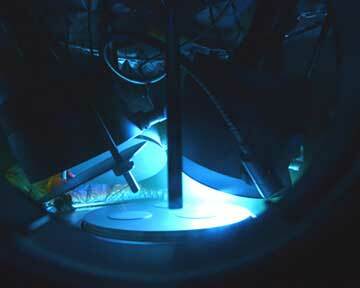 In situ tools observe in real-time the formation of the thin film throughout the thin film deposition process. Such in-situ metrology tools as a Plasma Emission Monitor (PEM), Optical Monitoring System (OMS) and Reflection High Energy Electron Diffraction (RHEED) [analysis of surface structure and morphology, including curvature, stress, reflectivity and growth rate] enable the development of new and refined thin-film processes, materials and structures. For well-established processes, in-situ tools help achieve higher yields and maximal uptimes, as they provide critical information for process monitoring and control. In-situ controls provide real-time feedback to the system to achieve tighter endpoint control. This enables high yield, repeatable results on demanding applications. Plasma emission monitoring (PEM) is a feedback control solution that monitors plasma characteristics based on emission spectra from a sputtering deposition. Based on the optical feedback it receives at specific wavelengths, the PEM manages reactive gas flow and maintains the proper concentrations of metals and oxygen. This maintains the target in the transition mode, which enhances deposition rates and thin film quality. An optical monitoring system (OMS) offers the ability to monitor optical thin film properties in real time during deposition. This allows you to adjust layer thickness in a stack during deposition to better achieve your target optical transmission properties. An OMS can either directly monitor a substrate or indirectly monitor a witness chip, using the reflection or transmission of light to determine optical thickness. It measures the optical thickness of each individual layer, allowing for better control of the deposition process to achieve maximum yield and repeatability. Gain complete in-situ control of your thin film deposition process with Denton Vacuum’s feedback control solution for PEM and proprietary OMS. To learn more about these solutions, visit the product pages shown below. 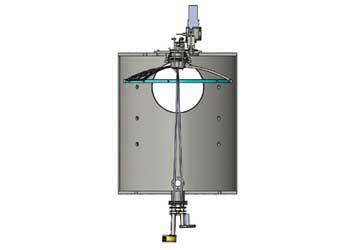 Our Plasma Emission Monitoring (PEM) solution is a closed-loop control system for transition mode, high-rate reactive sputtering of metal oxides and nitrides. The LambdaPro® OMS lets you monitor the optical properties of an optic as it is being deposited and provides the ability to switch from one layer to the next with precision.